The Buick Century first appeared in the 1930s, and the name commemorated the company’s first model to reach 100 mph. 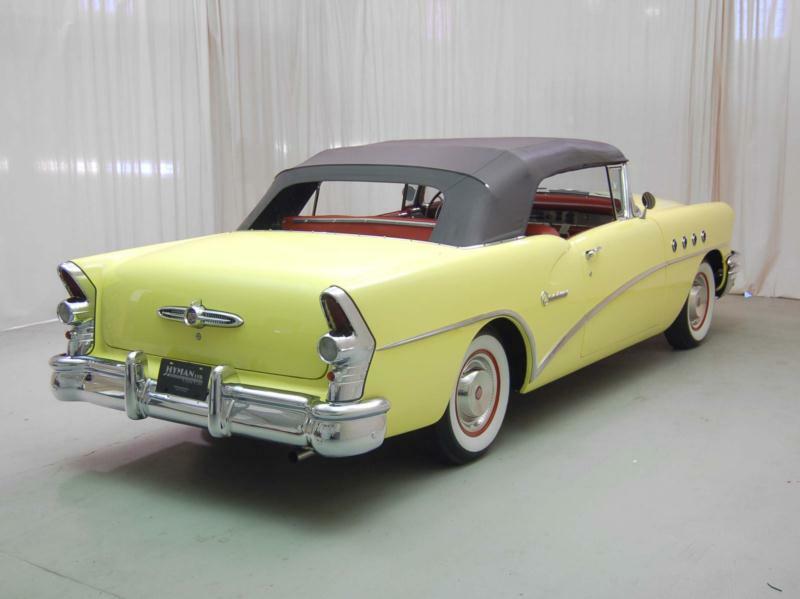 After a hiatus that spanned two decades, Buick revived the name in 1954 for their new performance offering. 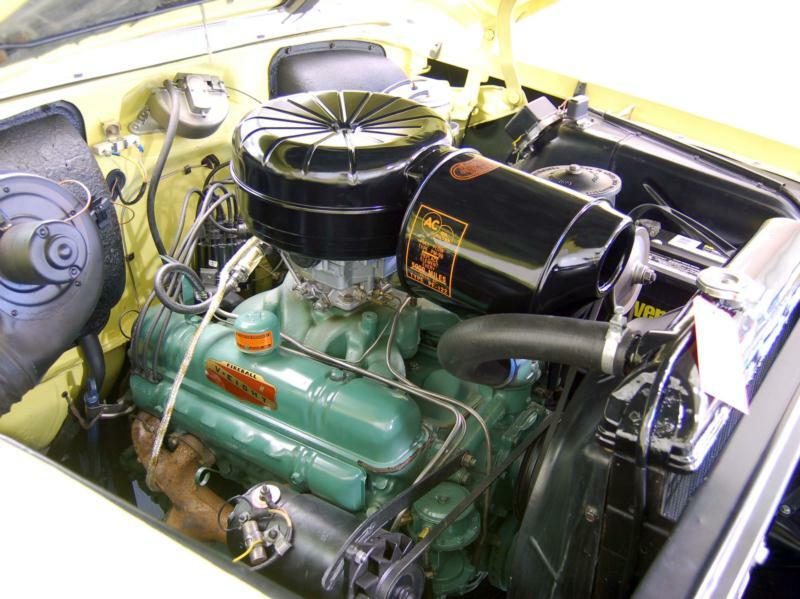 Based on the smaller Series 40 Special chassis and body, the new Century received the Roadmaster’s more powerful 322-cid V-8 engine rated at 200 hp. About half the Centuries in this era received Buick’s Dynaflow automatic transmission, while the rest received a three-speed column-shift manual. In 1954, Century buyers had their choice of a sedan, a “Riviera” hardtop coupe, a convertible, or a four-door station wagon. 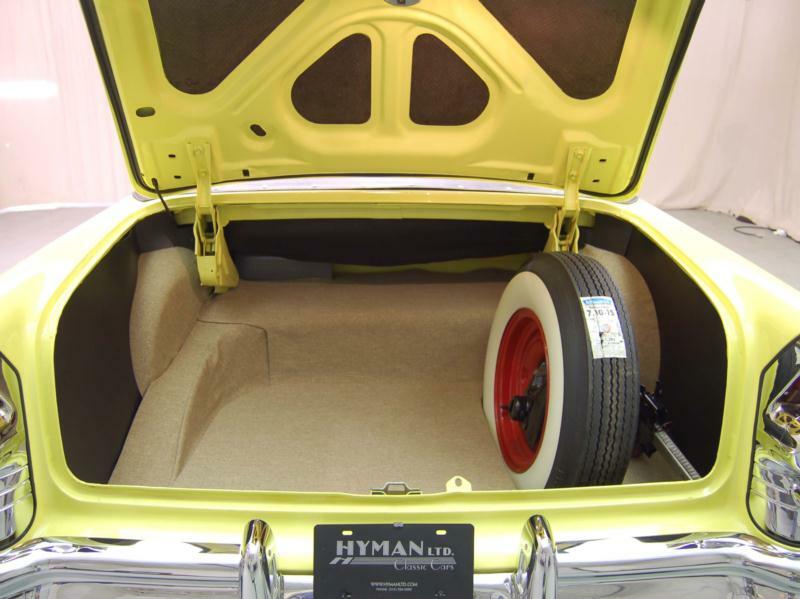 Notable equipment included an electric clock, foam seat cushions, a trunk light, two- and three-tone nylon/cordaveen upholstery, and a license plate frame. All body styles sported Buick’s signature plunging chrome side spear and could be ordered in two-tone paint combinations. All Century body styles also had stunning interiors, though the convertibles were especially luxurious with leather upholstery, and power windows and seats. The 1954 Century was a “three-hole” Buick, meaning that it had three “ventiport” holes in the front fenders. 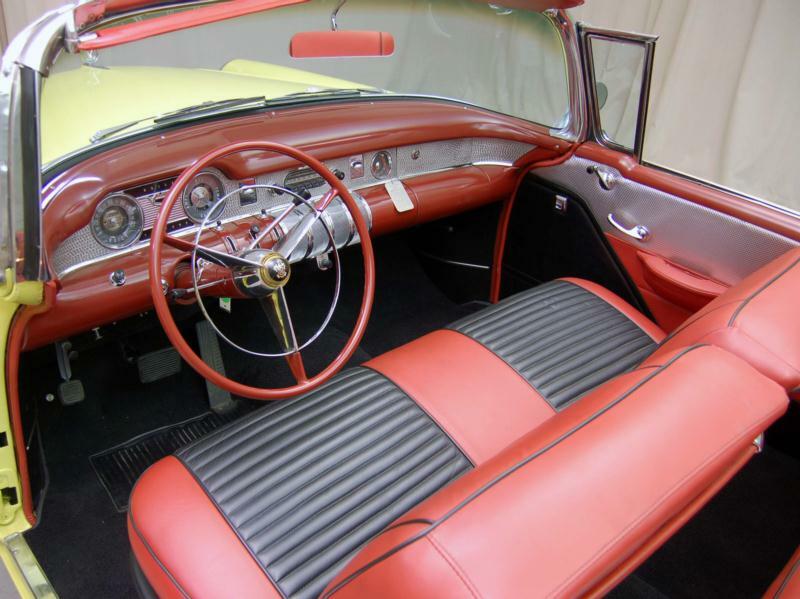 For 1955, the Century was upgraded to four portholes, distinguishing it as a high-line Buick. The 322-cid engine was also uprated to 236 horsepower for this year. The 1955 Century production run included a special order of 268 two-door sedans for the California Highway Patrol, which are highly collectible today. Mid-year in 1955, Buick brought out the Century four-door “Riviera” hardtop coupe. Along with a companion Oldsmobile body, these have the distinction of being the first four-door hardtops ever made. 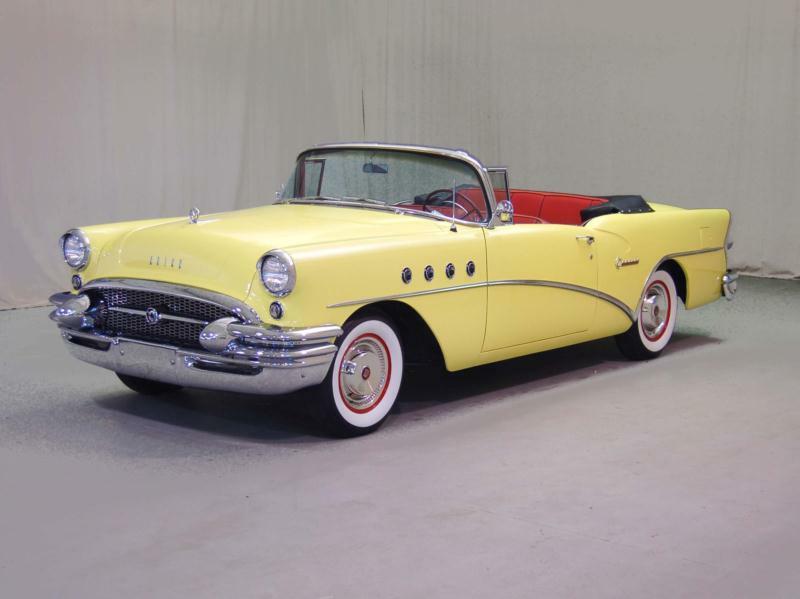 In 1956, Buick turned up the wick on the Century engine again, coaxing 255 hp from the 322-cid V-8 engine, and the company also dropped the four-door sedan. The cars otherwise remained largely the same. 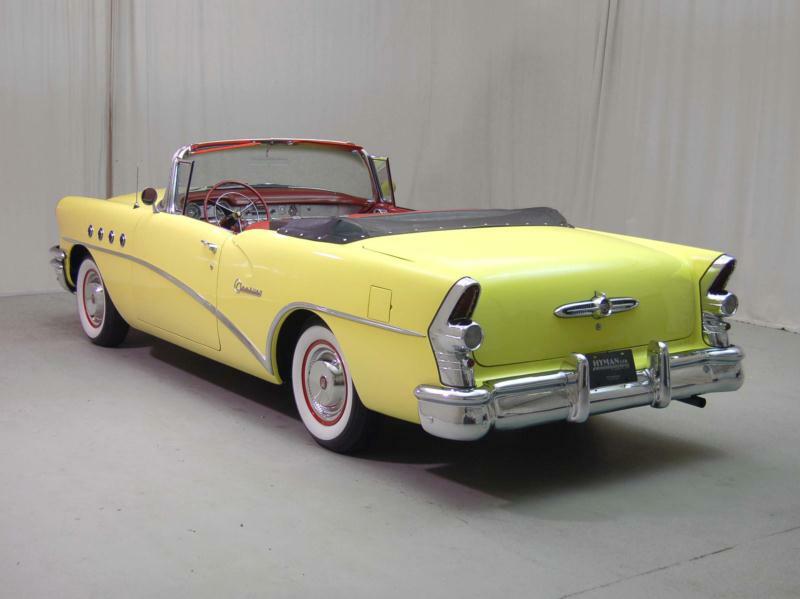 The Buick Century was an early experiment in combining a smaller and lighter platform with a powerful engine that was more famously explored more fully by the industry in subsequent years. The Century is also a classic 1950s cruise-in candidate that leaves no doubt as to who made it, the two of which make it an intriguing model. Enthusiasts gravitate towards cars with contrasting two-tone paint jobs, as well as the relatively rare convertibles and station wagons, Four-door hardtop sedans are interesting and handsome in their own right, and are more affordable. Operating expenses are typical for the era, which are generally low, though restoration costs can quickly surpass the market value of the car. Buyers considering this route are best advised to seek out a “done” car first.